We can clear all drains in your home or business. 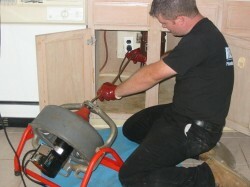 Our inventory includes all of the necessary tools and equipment to take care of most drain issues. A job well done, and under your quoted price. Not too many outfits can claim that! You solved my problems–another happy customer.